If you’re an author planning on self-publishing and you need assistance with technical or editorial, we’re here to help. At Artisan Bookworks, we recognize every author has a unique vision and we would be honored to help you bring yours to life. We love children’s books but are open to other genres of fiction and will consider some non-fiction. No horror or religious themes please. We believe in quality over quantity. Artisan Bookworks crafts beautiful print and eBooks for discerning authors who want the best for their readers. Reading a book filled with grammatical and typographical errors is frustrating. Solid spelling, correct punctuation and overall consistency are fundamental to creating a well-written work, that your readers will appreciate. Complete our quotation request form and we’ll determine exactly what services you need. We will return a detailed quote outlining the plan for your book. This is the time to ask questions. We’ll also include details for making payment and submitting files. We will send you sample chapter options showing how your book will look. You will need to approve these samples. We will design/layout your book page by page, chapter by chapter, placing illustrations where necessary, following the agreed upon specifications and requirements. After completing the layout, we will send you a digital proof you can review and note any alterations, if needed. Includes: home page, about page, books page, contact page, first blog post. Author provides content and images. 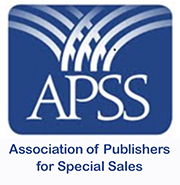 ¹ Book design services do not include ISBN, LCCN, or copyright registrations. Revisions requested by author after digital proof has been approved will be charged a fee. ² Layout/design fees may vary based on the complexity of the book. For example, a book with maps, charts, tables, illustrations, footnotes, etc. will be more than a text-only interior. ³ If custom cover art and/or illustrations are needed, the project cost will be significantly higher, depending on illustrator’s fees.